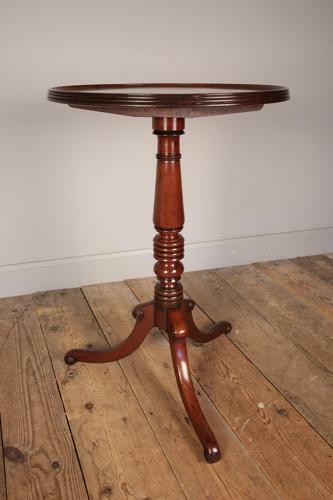 A small George III Mahogany tip top table with wonderful colour and patination. Having a tilt circular top with a reeded edge and original brass catch. Raised on a ring turned pedestal with 3 shaped feet of which have decorative roundel detailing. Firm standing solid table in lovely condition throughout. English, Circa 1810.